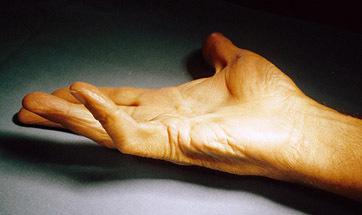 Collagenase is one form of treatment for severe cases of Dupuytren’s Contracture. Surgery is another. Collagenase is injected into the tight bands (cords) which limit straightening of the affected finger(s). In most cases substantial improvement in extension and dexterity is achieved after subsequent manipulation.